Help Elmo and Big Bird on their first trip to the airport in Sesame Street's Elmo on the Move: At the Airport! In the first book of Sesame Street's Elmo on the Move series, Elmo and Big Bird are getting ready to fly for the first time! Can they make it through security and to their plane in time? 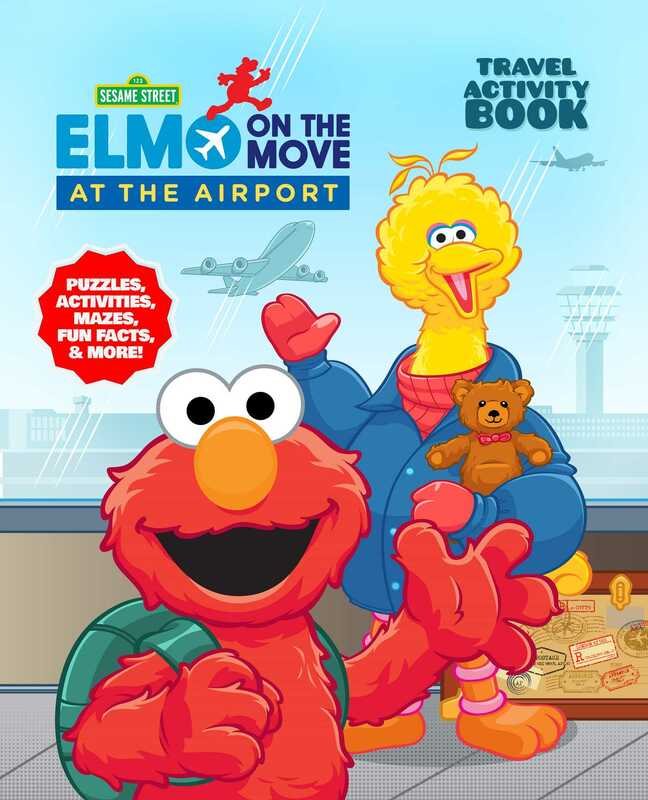 In this entertaining activity book—with the help of Elmo, Big Bird, Bert, Ernie, and more of your favorite Sesame Street characters—your child will learn about what to pack, how to get through security, how to board an airplane, and more! Accompanying the silliness of Elmo and Big Bird navigating their way through the airport, each colorful, illustrated page contains a fun, creative activity to help your child both learn about the airport and encourage skills such as creative thinking and problem-solving with puzzles, mazes, coloring pages, and more! Airports are busy, large, and complicated. This scene can be intimidating for young children, especially if they aren’t prepared. But with Sesame Street's Elmo on the Move: At the Airport, your child will be not only be prepared to handle the hustle and bustle of the airport, but also appreciate the wonder of traveling to new places! Diego Jourdan Pereira is a Silver Morosoli Award winning artist, graphic designer, and author, specializing in comics and illustration.